When it comes to UK exports, London sells financial services and the rest of the country does manufactured goods, right? Wrong. New work from ONS shows what services the countries and regions of the UK are selling in international markets. James Harris explains. The EU referendum, Brexit negotiations, the publication of the Government’s Industrial Strategy and continued discussions on devolution have all highlighted the need for better, more detailed local trade data. 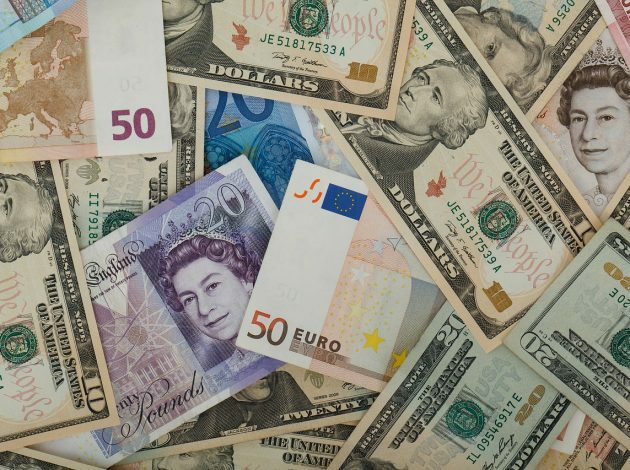 With the UK economy becoming ever more services-based, a better understanding of how much services we sell, and which countries we trade with, is high on the agenda. 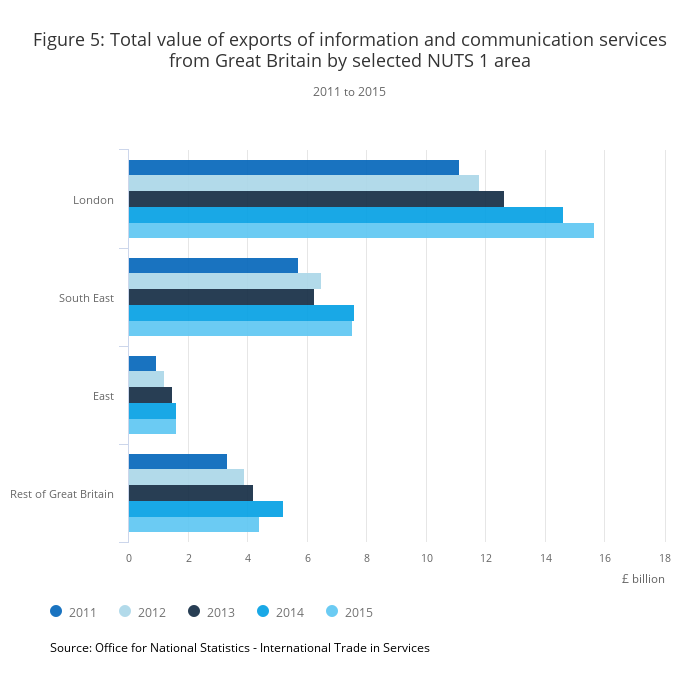 Services account for almost 80% of UK economic output, and 45% of total UK exports, but until recently ONS lacked a comprehensive understanding of how exports of services were distributed across the country. Over the last couple of years, we in the ONS Cities Analysis Team have been working with raw micro-data to estimate the value of services exported by each country and region of the UK to better understand what services we trade, where we trade them, and who we trade them with. HMRC produces similar regional-level statistics for goods exports, but nothing like this had been done before with services, so we combined data from sources including the International Trade in Services Survey, the Inter-Departmental Business Register, the UK Balance of Payments, the International Passenger Survey and the Bank of England to create useful outputs. This work culminated in the first publication of regional and country-level service export values in July 2016, which we updated in May 2017 with another year’s worth of data. We now know that financial services exported from London account for 13% of all GB service exports, and that exports of travel services grew in every region of Great Britain between 2011 and 2015. We also found that exports of information and communication services, which covers things like computer programming, publishing of books and software, and television and movie filming and broadcasting, are geographically concentrated in London, the South East and the East of England. Financial services are a high value service exported by all countries and regions of the UK, but in the North West and in Wales exports of manufacturing services were higher. In the South East 45% of exports of services were by information and communication, real estate, and professional, scientific and technical industries. Since then, ONS’s economists have gone back to the raw micro-data to investigate further breakdowns showing the countries where service exports were heading. Using similar methods, evidence shows that Europe is our most important market, with Europe as a whole receiving almost half of GB industrial service exports, and the EU specifically receiving 37%. 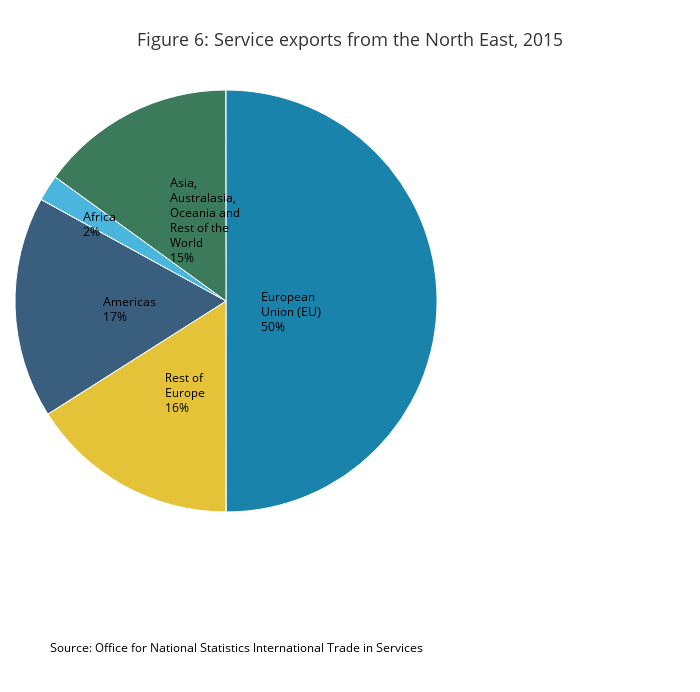 However there is a fair amount of regional variation from the North West and Scotland sending 26% of industrial service exports to the EU, compared with the North East and West Midlands sending almost half to the EU. If we look at individual countries, the United States of America was the most important export destination for practically all GB regions. It is the Netherlands that North East England sends most of its service exports to. In fact the Netherlands is an important trading partner for all regions, being in the top 10 largest destinations for industrial service exports from all GB regions. Although the Netherlands is important, it is Germany that is the single EU country receiving most British industrial service exports in the EU with £6.4 billion, slightly outdoing the Netherlands’ £6.1 billion. Germany is in the top 5 destinations for British industrial service exports from all regions. Commonwealth countries remain important trading partners receiving 10% of GB industrial service exports. Of Commonwealth countries, Singapore receives the largest value of GB industrial service exports of £1.9 billion, followed by Australia having the second largest value of £1.3 billion. Almost 70% of GB industrial service exports to Singapore came from London and the South East of England. 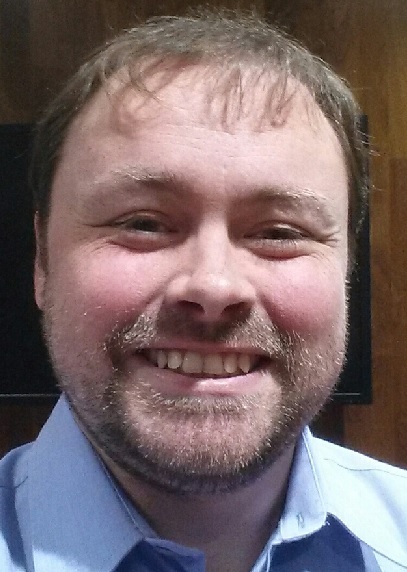 We have been speaking to colleagues in Wales, Scotland, Northern Ireland, and some cities across the UK about our outputs, and we know that analysts across central and local government have already been making use of our results when considering the impacts of policy-making on our economy. We look forward to seeing our evidence being used in future discussions and decision making. It has been a valuable learning experience for us, making use of new datasets in new ways, and adding to the portfolio of outputs by ONS, but the learning has not finished! We are continuing to develop these products and hope that local-level analysts, academics, businesses and enterprise groups will know what their area produces and will be able to confirm our results, or even challenge them, with more evidence – please feel free to have your say.